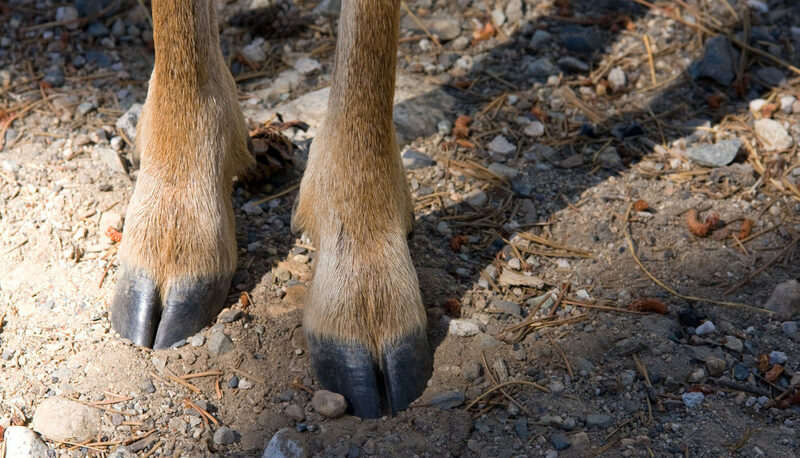 LifestyleWaste Not: What Can I Make Using Deer Hooves? Ever wonder what you can make using deer hooves? Yes, there's the popular gun-rack concept, but how about a hoof rattler or bandolier? So evidently deer hoof rattles are popular now. So are bandoliers made of hooves. Or maybe they always have been? What’s measurable, regardless of what’s popular and what’s not, is the number of deer-hoof, inspired art on Etsy, the online shopping site for handmade goods, and Pinterest. Couple that with a growing conviction among hunters, particularly younger hunters, to make use of every part of the animals they hunt or eat any sort of animal they kill, and you have a real commitment to wise and efficient use of wild game. The National Museum of the American Indian recommends going to BrainTan.com to learn how to make deer hoof rattles. The site also offers historical context of the rattles' origins and how they were used by Native Americans. Below, we’ve taken the instructions provided by Brain Tan and boiled them down to a few, easy steps. You can do this with a saw or by cutting through the joint with a knife. Brain Tan recommends using an axe or hatchet for the fastest method. Dewclaws can be removed with a knife as well. Once removed, clean away all bood and dirt. Hooves and dewclaws can be preserved by freezing if you can’t make your rattles right away. The key thing is to not let them dry out. “If you double bag them and put them in the bottom of the freezer, your better half will never know they are there,” said Ken Smith, the expert who authored the instructions on Brain Tan. Slowly boil the hoofs for two to three hours, changing the water twice. Hint: if you have limited time each day, boil the hooves awhile, change the water, keep cool and boil some more the next day. After about three hours of slow boiling, take a knife and see if the connective tissue is soft enough that the bone inside the hoof can be pried out easily. If so, the bone is ready to be popped out, away from the hoof and then the connective tissue can be scraped out using a small, thin knife blade. First, the large open end of the hoof needs to be trimmed back square so that all three sides of the bell are about equal in length. The next step is to trim the thickness of the rough, soft, swollen pad. If the pad thickness is not trimmed down, it will dry rough and thicker thus dampening the pretty sound of the finished hoofs rattling together. Finally, you’ll want to trim the tip of the hoof to form a flat spot. You can get more detailed instruction and view an illustration of the trimming process here. This portion is less about instruction and more about artistic expression. There are various ways to shape the hooves. Some methods work better on small does and yearlings, while other methods are more suitable for large buck hooves. Deer hoof rattles are used by Native American tribes throughout the Americas. The rattles are used for different purposes, depending on the tribe. The Flatheads of Montana use it in the hysterical cures of the blue jay shaman's dance in bison-calling rites. In the West they are associated with girl's puberty ceremonies. Deer hoof rattles can also be used to invoke oneness with the spirit of Mother Earth. The rattles stimulate the animal energy and brings one closer in balance with nature. Hip-Hop Artists Go Duck Hunting in New Music Video "Win"
Do Some Texas Schools for Opening Day of Hunting Season?